How much do you rate khaki outfits in your wardrobe? Are you like me who thinks that there is no other contrast than khaki jeans or skirt to wear with, absolutely any, color? Or you want to wear khaki outfits as a seasonal fashion and don’t bother to keep it in your wardrobe for long? Whatever is the reason behind you wishing to wear khaki in 2016, one thing is sure. You have got the point of wearing this right type of stuff. Now and then, khaki is always, and will always remain a trend. There is no special requirement for wearing a khaki outfit. All you have to do is to match a right color of the top with your khaki pants. 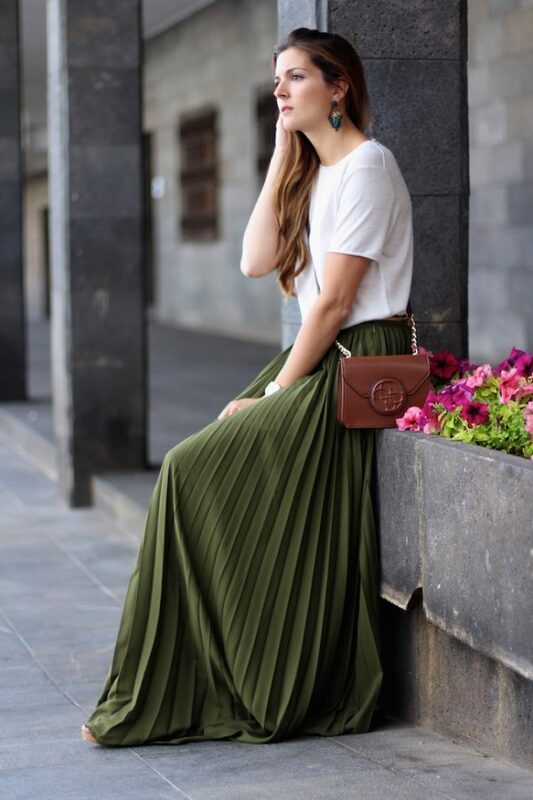 Or you can reverse the style for a less common look and wear khaki as you top and other contrasting colors as your skirt. Do you like a complete outfit out of khaki? Some people adore this style, well, unlike me. The outfits are most liked because of the rough and tough look they give to the owner. The obvious impression of this color is, “so you were out for a workout!” A more casual yet elegant look is what combined with this style of dress. Khakis are never thought as a perfect evening outfit. However, the trends are changing now with the change in the mindset of the society. Pair your sequined top with a pair of rolled up jeans. And enjoy the simple formal look on the party. Pair your khaki pants with your style of the blouse to wear on a concert. You can choose any type of blouse, from lacy to strips on to off-shoulder. Literally any top will work with the right style of khaki pants. Here were some styles to wear in khaki. Which is your style?